Last week, Ivo Karlovic became the player to have hit most aces in the history of tennis. The 6 feet and 11 inches tall Croatian player lost the second round match in Beijing but hit 26 aces to break his compatriot Goran Ivanisevic�s record. Karlovic is already 36-year-old but he is still going strong and he said in an interview that he will keep playing in coming years and will keep on increasing the total. We don�t know how far will Karlovic take the total number of his aces by the time he retires but we have compiled a list of players who feature in top 10 among the players who have hit most aces on the ATP Tour. 10. John Isner John Isner is one of the three Americans in this list. Main weapon of this 6 feet and 10 inches tall giant is his serve. He has hit a total of 7249 aces in 439 matches so far. 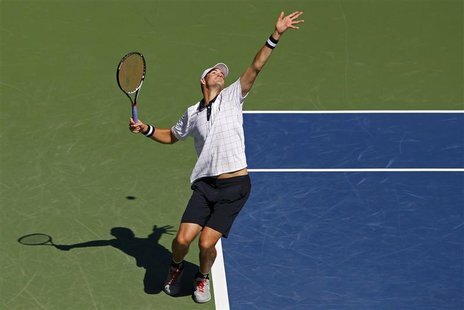 He is one of the few male American players, who are carrying their country�s flag at the Grand Slams.